This embellished gown will shine in the light! A plunging v neck A-line wedding dress with 3D floral appliques and a trail of ribbons flowing down the skirt. 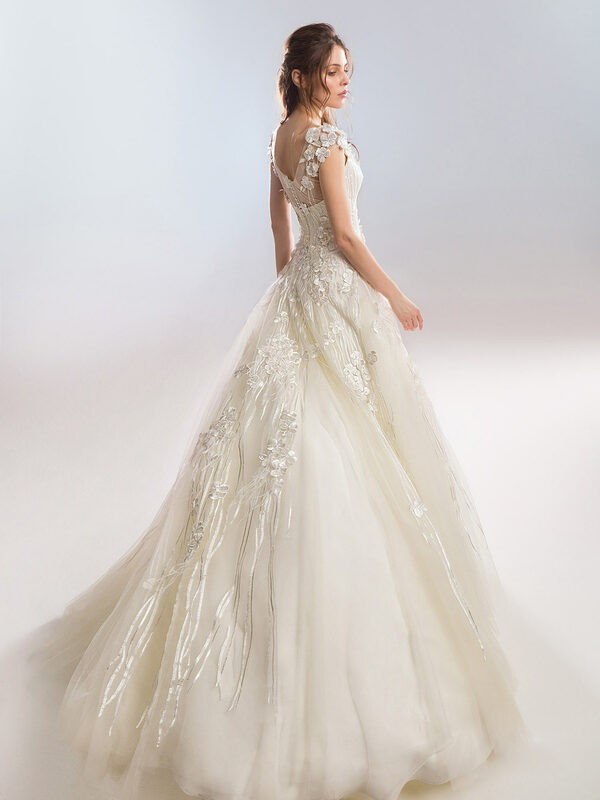 The bodice has illusion cap sleeves and flows into an illusion back which are both embellished with the 3D flowers. The dress is finished with buttons up the back.